Control de corte de frecuencia y de ganancia. Respuesta: 30 - 120 Hz. 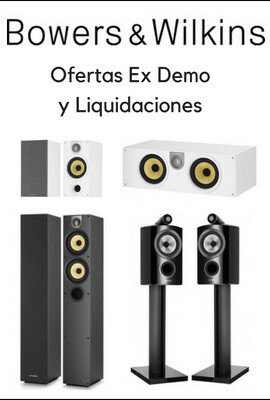 Amplificador de 200 W.
NOTA a modo de aclaración: en la primera fotografía, los puntos blancos que aparecen en el chásis metálico NO son rayas. Son el reflejo de los focos del techo. The all-new T-Series™, from REL, is intended to deliver the exceptional low bass performance, rugged build quality and attractive styling of our classic offerings at more affordable prices. STYLE: The design of T-Series is guided by its high performance goals. The perimeter rails that define and support the unit are necessary to provide sufficient elevation to allow proper release of the low bass pressure wave. The bold hemispherical dome of the grille is necessitated by the ultra long throw (ULT™) driver’s travel. Quality abounds, such as the polished T-304 stainless steel bolts employed. Such attention to detail is what has made the REL name synonymous with quality. 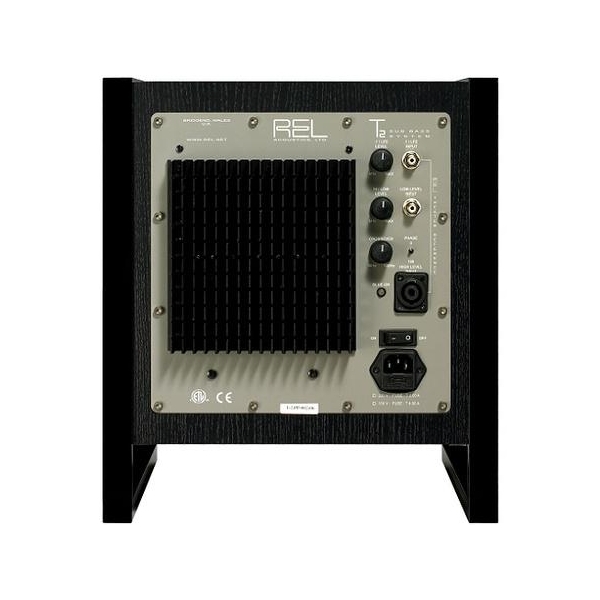 PERFORMANCE: Simply put, we firmly believe that REL Sub-Bass Systems should be matched to the performance capabilities of the system and to the room volume in which the system will be performing. 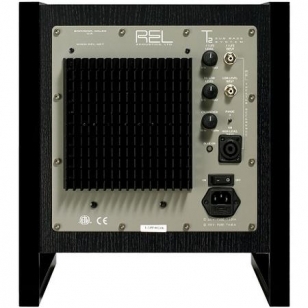 The three model offering allows a broad range of main speaker system matching. Consult your REL Specialist for recommendations.